Some people have naturally plump lips. Others might need a little help. If you want to have a full appearance in your lips or have noticed lines around the edges, consider using a dermal filler. 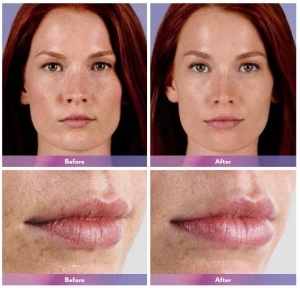 Dermal fillers are injectable, soft-tissue filler that is injected into the skin to give your lips a plumper, natural look. 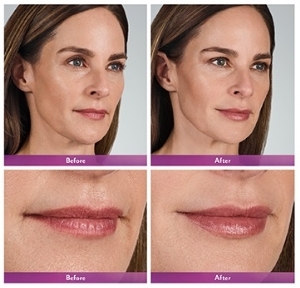 Juvederm Volbella is one of the most recent FDA-approved lip fillers on the market. Call for a free consultation* with our skin care specialists today at (818) 284-4003. 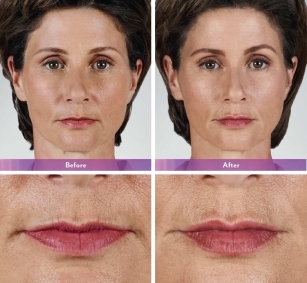 Volbella is a kind of dermal filler cosmetic dermatologists can use to define lips and correct fine wrinkles around the mouth. It’s made of hyaluronic acid and doesn’t require a skin test before injections. 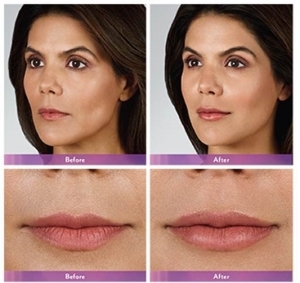 Volbella’s small particle size can also allow your injector to treat the fine lines without getting a full look in this area if your lips are already natural full. 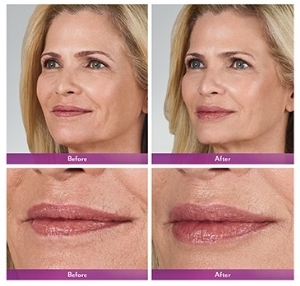 Results - Patients will experience plumper, fuller lips that are healthy, natural, and younger-looking. Treatment Interval - Results typically last 6-9 months, although some people may maintain full correction as long as 1 year, after which there is a gradual diminishment of the filler. If you’re ready to talk about a Volbella filler treatment, give us a call. Our cosmetic nurse specialists can offer you a free consultation. And, if you decide to proceed with the treatment, our experienced Burbank cosmetic dermatologists are extremely accomplished and knowledgeable practitioners who have worked in the medical field for years. Advanced Dermatology Center has been helping people with a wide range of medical, cosmetic, and laser treatments, for more than a decade. Our doctors are certified by the American Board of Dermatology, which inspires confidence in the people we help. We look forward to working with you. Contact us to make an appointment with one of our nurses today. *Fees apply to all appointments with our doctors. We do however accept most major PPO insurance.